A Must See Tourist Experience! 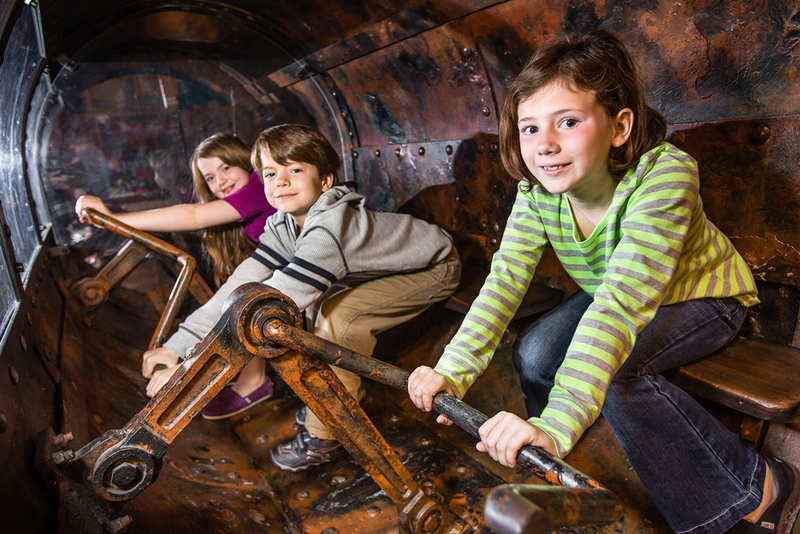 Visit the Hunley and see the world’s first combat submarine along with amazing artifacts found onboard during excavation of the crew compartment. A unique tourist experience that covers three centuries of history and technology. The tours are only available on Saturday and Sunday; every Saturday from 10 AM – 5 PM, and Sunday Noon – 5 PM (last tour begins at 4:40 PM). 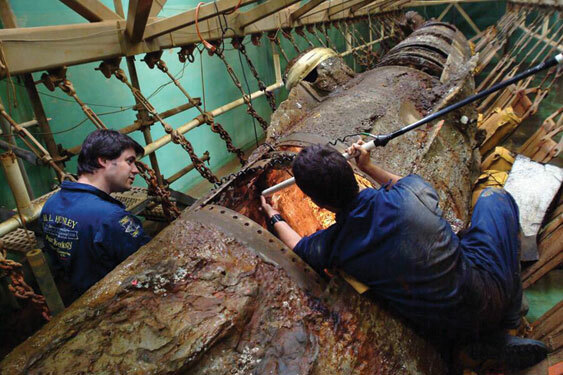 Tours are not available on weekdays so scientists can continue their work preserving the Hunley for future generations and discovering her true history. A visit to the Hunley lab is a combined self-paced and guided tour. The actual viewing of the submarine in the tank is docent led and lasts approximately 20 minutes. With a store, interactive exhibits, and activities, most visitors stay at least one hour. Tickets ordered in advance are $16.00 for adults and $8.00 for students/youth ages 6-17, plus a service charge and can be purchased online here. Tickets for Friends of the Hunley members are $12.00 and senior citizens and military are discounted to $14.00. Children under 5 are free. Tickets can be ordered online in advance up until the day before your tour. If you are purchasing the day of your tour, you will need to purchase them at the entrance gate. Walk-up tickets are also available on a first come, first serve basis. These tickets do not have a service charge. For questions about Hunley tours, please call the Friends of the Hunley directly at 843.743.4865 ext. 10. If you have questions about pre-reserved tickets, please contact Etix.com at support@etix.com. Group tours (20+ guests) can be scheduled for weekdays with advance notice. For more information, contact Frank Johnson at 843-743-4865 ext. 14 or email him at info@hunley.org.